Bulgaria has four distinct seasons. In the summer, the average daytime high is around 78° F (26° C) and low around 57° F (14° C). However, temperatures of up to 102° F / 39° C are possible during heat waves! Meanwhile, during the winter, there are occasional snowstorms and temperatures can drop as low as -5° F / -20°C! However, a more typical daytime temperature during the winter would be around 38° F (4° C) and nighttime temperature around 27° F / -3° C.
Fall and spring are often thought of to be the best times to visit Bulgaria. While March can be surprisingly harsh with occasional snowstorms, April and May bring beautiful weather, blossoming trees, and pleasant daytime temperatures. Meanwhile, Sofia is especially romantic in fall when the tree leaves turn orange and yellow in the crisp autumn air. 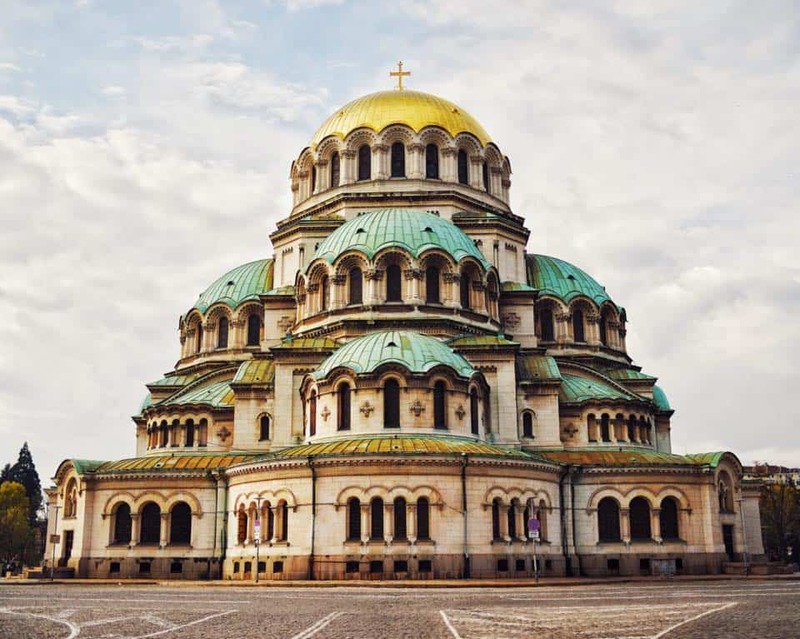 Whatever time of year you visit, Sofia is beautiful – just follow our packing tips and you’ll be all set.